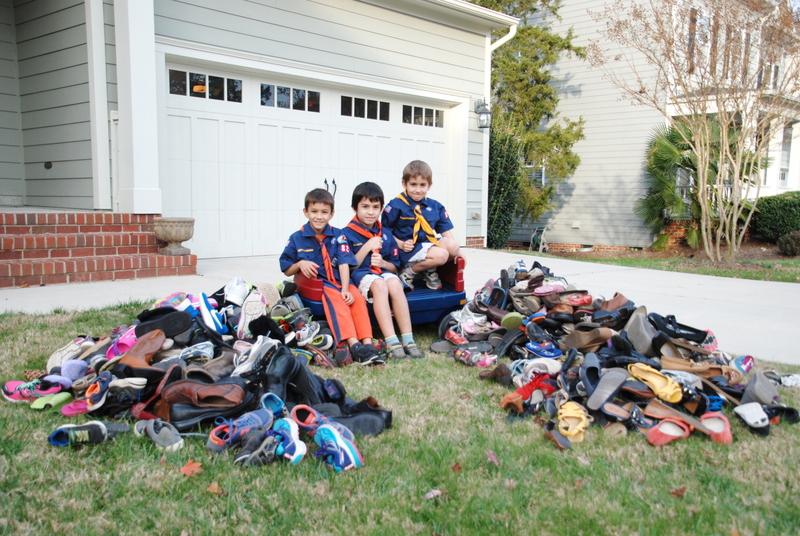 Cub Scout Pack Collects and Donates Shoes - Planet Aid, Inc.
More than 250 pairs of shoes were collected and donated to Planet Aid during the month of November by members of the Cub Scout Pack 825 from Chapel Hill, NC. Mr. Ethan Beattie, the pack's Assistant Cubmaster, said that this project applied one of the twelve points of the Scout Law: A Scout is Helpful. A big “Thank You!” to Pack 825 from all of us at Planet Aid. If you would like to learn more about what will happen to the donated shoes, click here. And, if you’re interested in hosting your own shoe or clothing drive, learn more about partnering with Planet Aid here.